Miss Roslyn Matthews, of 38 Walnut Road, Rocky Hill, was born March 13, 1939 in Providence, Rhode Island, daughter of Dorothy C. (Scott) and Stanley W. Matthews. 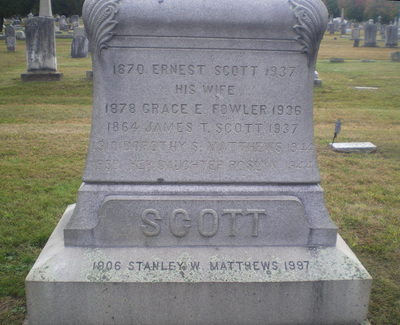 She was found dead at the circus grounds after the fire on July 6 and buried at Evergreen Cemetery, Central Village, Connecticut, after services at St. Martin's Church in Providence on July 9. Miss Matthews is survived by her father and a brother, Richard A. Matthews, age 11. Her mother, Dorothy, was also a victim of the circus fire. Body #1505 was identified as Roslyn Matthews at the State Armory on July 7 by a friend, Mrs. Cullen. Roslyn's estate was awarded $6,500 by the arbitration board.